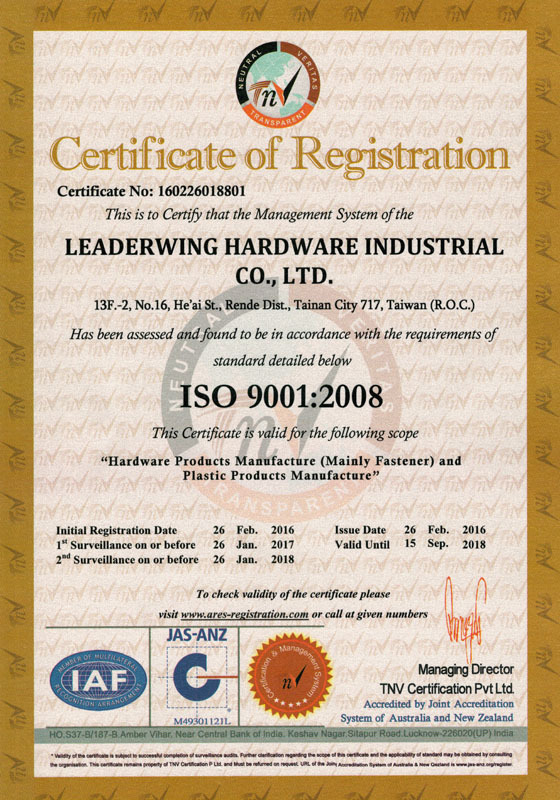 QUALITY - ABOUT - News - LEADERWING HARDWARE INDUSTRIAL CO., LTD.
We have the serious and professional quality team to control every production procedure and packaging procedure to ensure our customers have the best and reliable products. 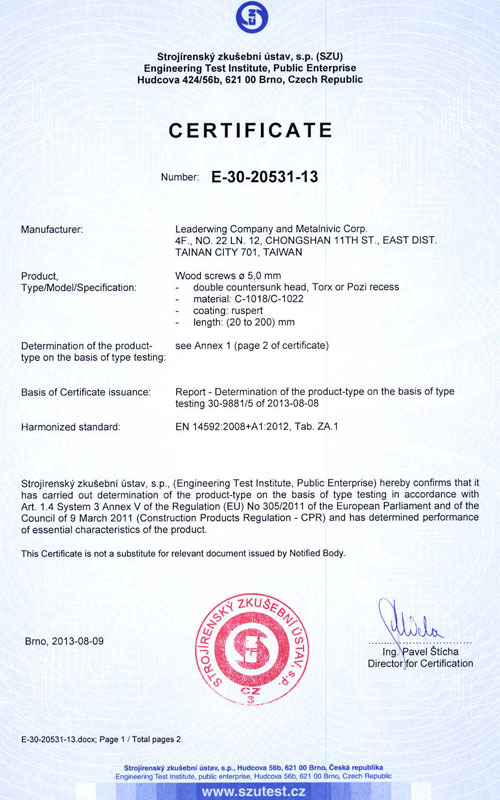 We have the various machines to test torque, bending angle, drilling speed, salt spray test, as well as series of professional testing machines. 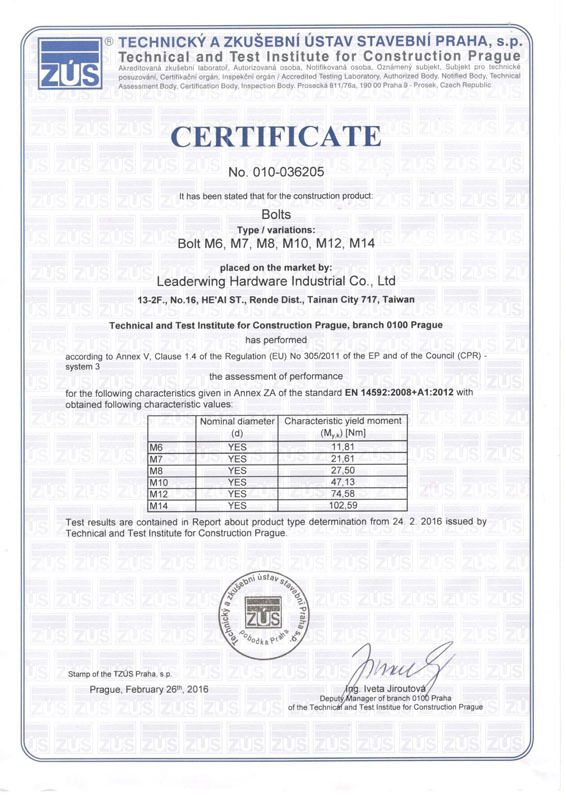 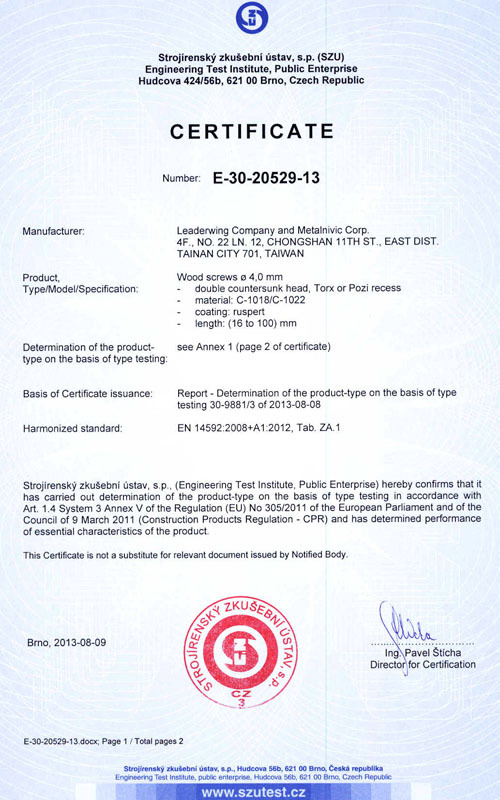 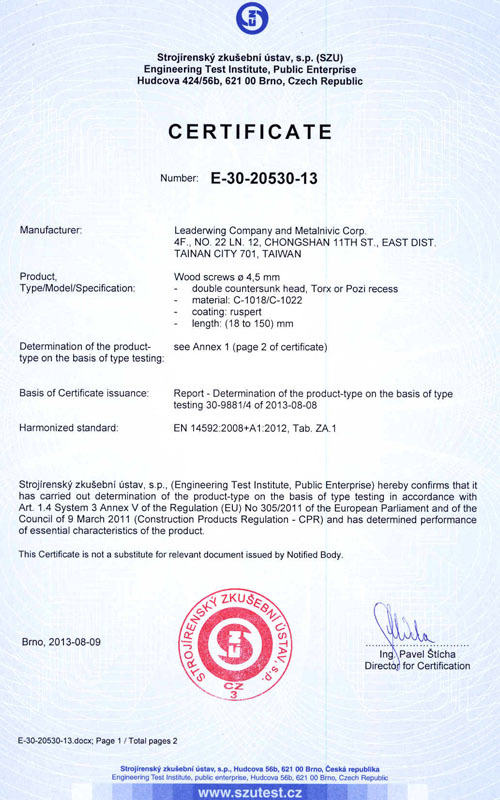 Also, our company always provides the testing report to prove that our products is tested by our QC team to gain the faith from our customers. 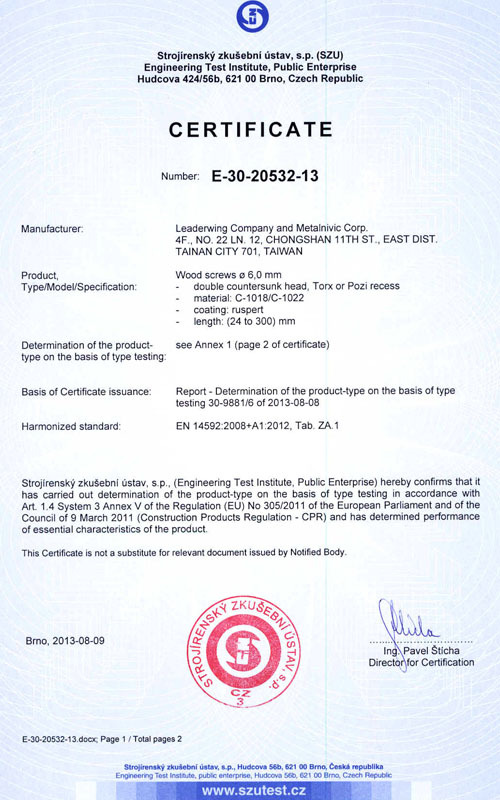 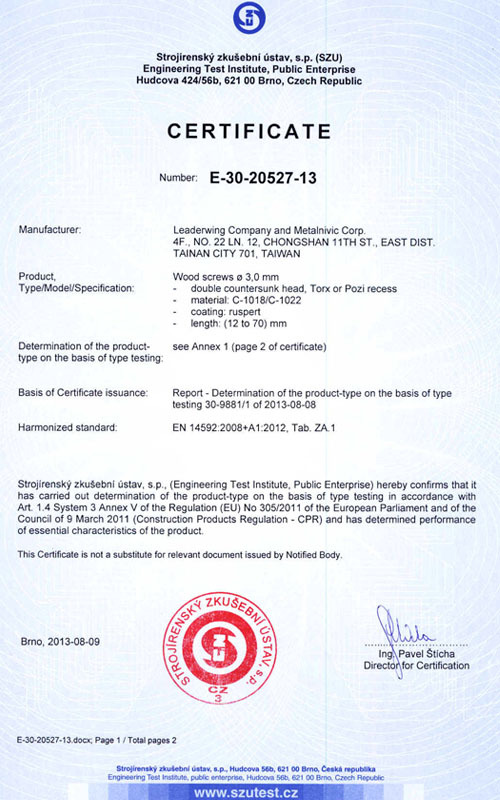 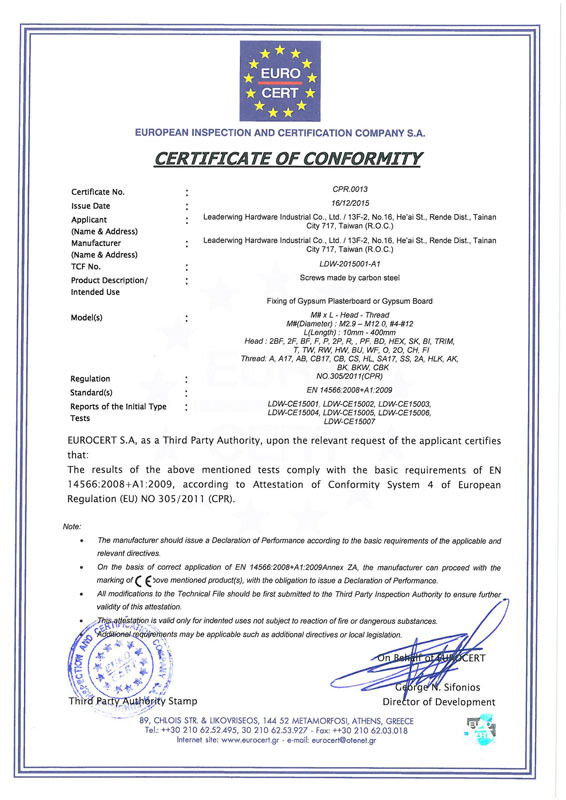 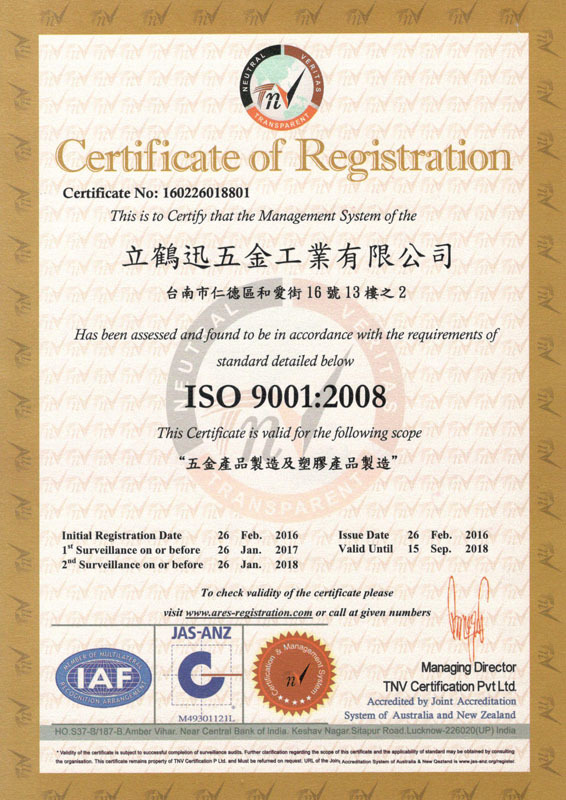 Last but not the least, we have the series certifications such like ISO or CE- these kinds of worldwide reputated approvals to prove the value and quality of our every products; thus, to sum up that our quality is guaranteed by every customer in the world.